14141 Ozark DR Garfield, AR. | MLS# 1041063 | Garfield Beaver Lakefront and Resort Homes for Sale and Northwest Arkansas homes representing buyers and home sellers for all of your real estate needs. Free MLS property search. This is it! Lakefront with slip in community dock. Additional dock slip available. Sitting on almost an acre. 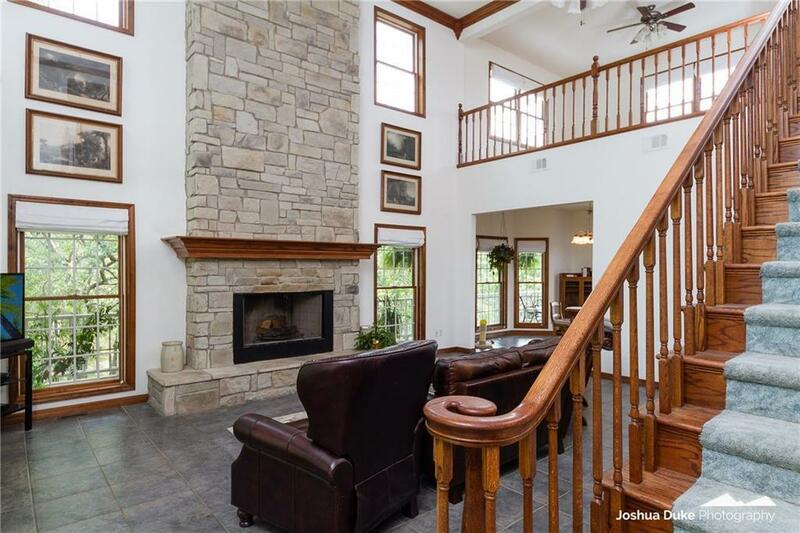 Massive native stone fireplace in the open living room with 18ft ceilings. Chef's kitchen with a huge island, concrete counter tops and a beautiful view of the lake!! Main level living with master and laundry room on main floor. New roof and paint within last two years. 3 car garage, which includes a whole house emergency generator and plenty of room for lake toys.